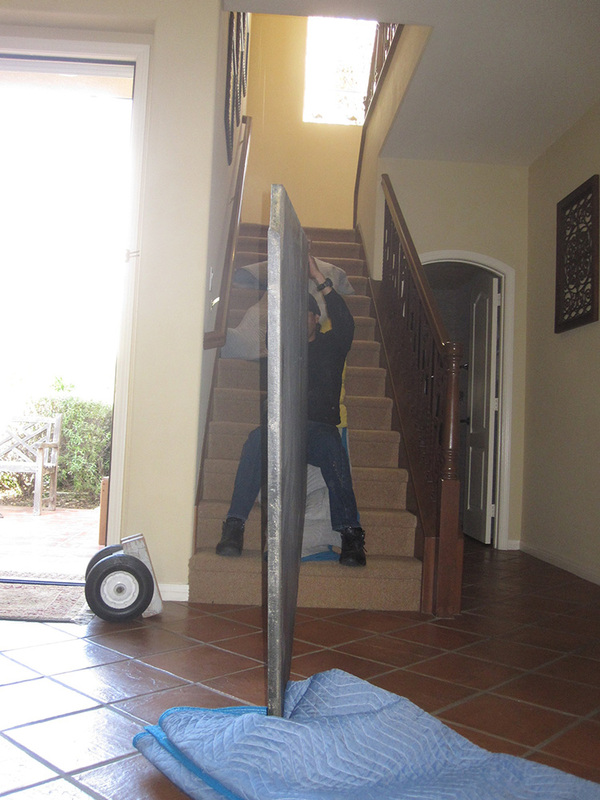 Last week my assistant and I were contracted to move a heavy pool table from Ladera Ranch, CA to Mission Viejo, CA. 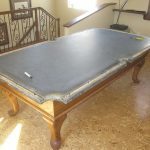 The pool table custom built by by a guy in Tempe, AZ. The only problem was that this pool table was upstairs with a 180 degree turnaround landing. Oh, and it’s an eight foot one piece slate! AKA “The Widow Maker”, because this slate is in one single piece and it weighs in at 450 pounds. The only thing we had going in our favor was gravity. 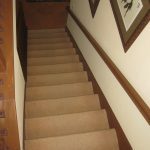 It was just the two of us, a one piece slate and staircase with a landing. 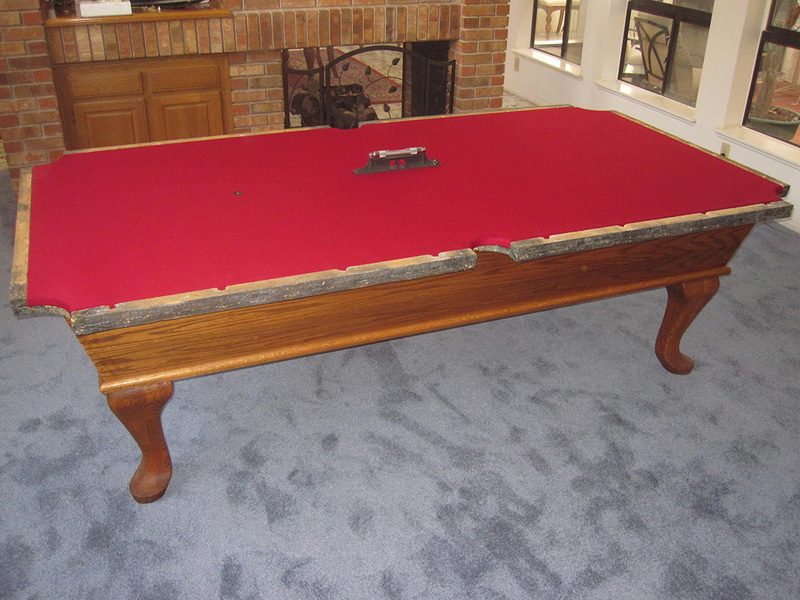 There is a good reason why most all pool tables manufactured in the last three decades have been built with a three piece slate design. But not this crazy guy from Tempe, nope , he still builds ’em using a one piece slate bed! 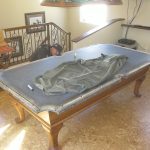 Let’s hope he wises up and starts building his pool tables with a three piece slate bed! 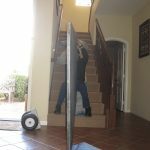 As you can see no injuries, no holes in the walls, we managed to get the pool table out of the Ladera Ranch house without any damage. 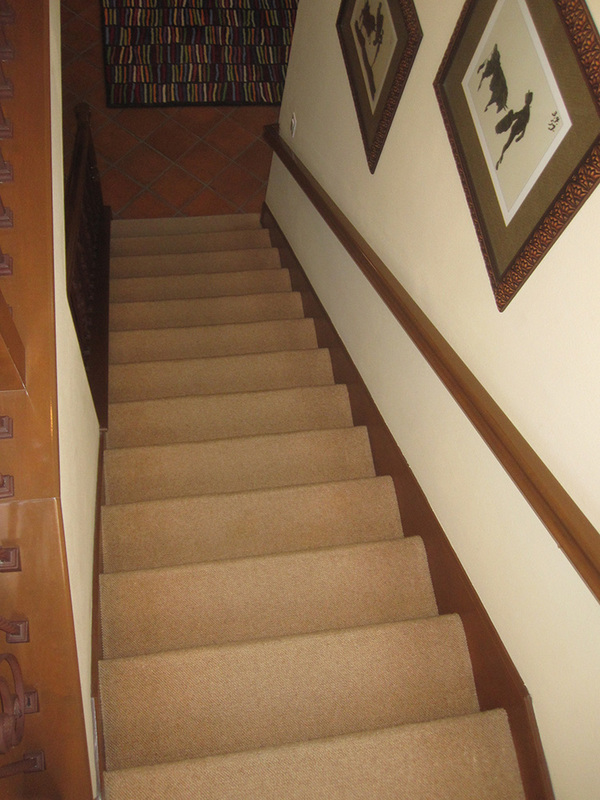 Our next stop will be in Mission Viejo, our client is having us setup the “widow maker” on the ground floor. 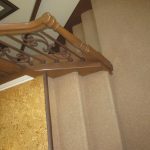 Woo hoo, no more stairs! 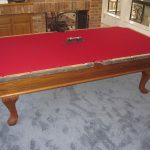 The pool table formerly had olive colored felt, but our client wants to go with burgundy. 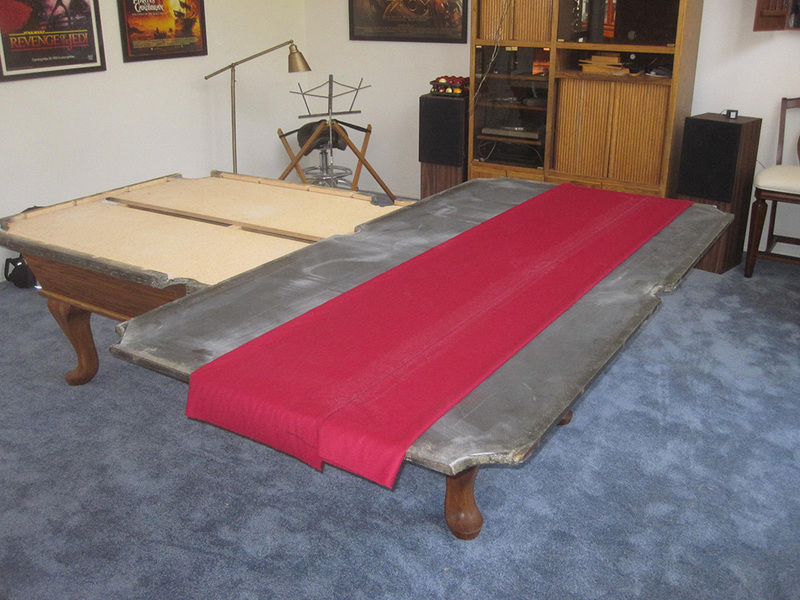 Once we located the best position for the pool table in his room we’ll start the refelt process. Hi superb blog! Does running a blog such as this require a great deal of work? I’ve absolutely no understanding of coding but I had been hoping to start my own blog in the near future. Anyways, if you have any recommendations or techniques for new blog owners please share. I understand this is off topic however I just needed to ask. Thank you! Hello Adolph, you guessed it. I spend at least two hours every day posting my pool table experiences from some of the more interesting clients that we do business with. As far as any recommendations, I’d say just write about what you’re passionate about and let the rest fall into place. Good luck man! Hats off, allow me to commend you on the clarity on this subject matter. I’m not an expert on pool tables, but after examining your posts, my comprehension has engaged considerably. I must remember to grab your rss feed to stay in contact with any of your forthcoming billiard blogs. Great job, I will pass it on to my acquaintances and my readers too. I’d love to thank you for your efforts you’ve made in composing this post. I’m heading in that direction with my writing as well, I strive for it. Sooner or later I’ll be there as well. The fact is your fanciful composing talents have prompted me to start my own website now. Basically the blogging is spreading its wings quickly. Your billiards blogs are a fine example of it. Everyone I work with visits your dkbilliards.com site repeatedly and it was suggested to me to examine it as well. Your writing style is good as well as the subject matter is pertinent. Many thanks for the pool table stories you offer your visitors. I find your blogs to be very unique and stimulating to learn information from your vast knowledge of billiards. I’d like to ask your permission to make utilization of some subject matter on my weblog. Naturally I’ll offer you a hyperlink on your world wide web blogging site. Thanks for sharing! 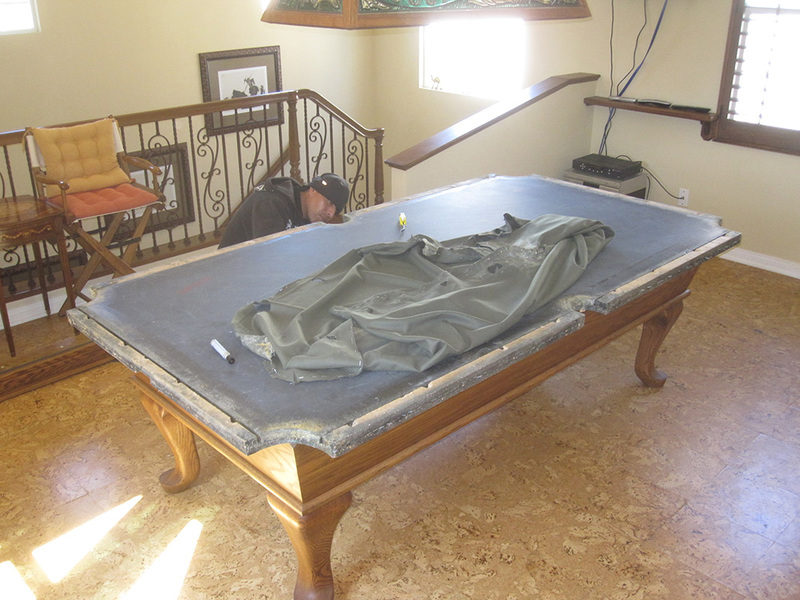 Well that’s a great question, one piece slates are really only beneficial when used in coin operated pool tables. Not so great when used in home billiard tables because of the sheer size of the slate. 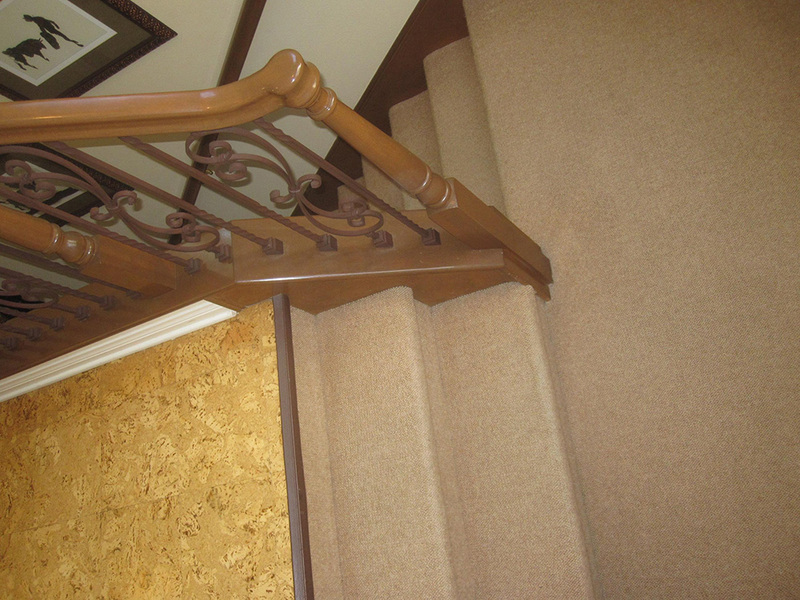 It is so difficult to handle and maneuver around corners and if the client has a gameroom upstairs…. my back is already starting to ache!!! 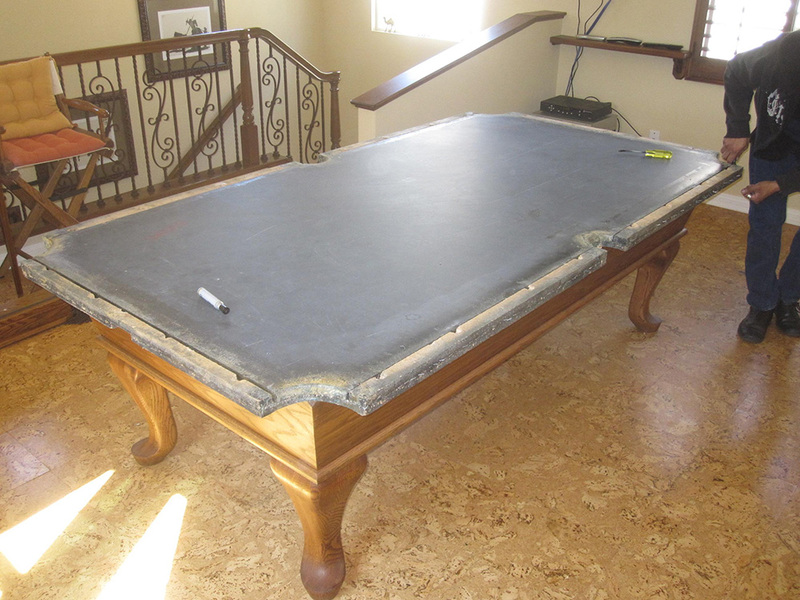 One piece slate pool tables were very common in the 1970’s and mid 80’s but not so common now. 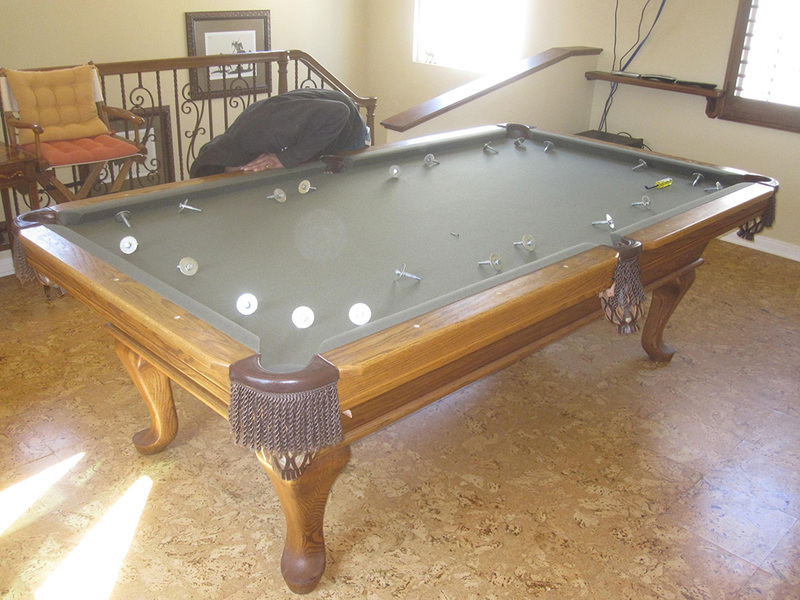 The average cost to refelt one of these types of pool tables is around $250-350. Thanks for checking my billiard blog out, Dave. One piece slates are more common than they should be. Three piece is always a better bet, unless you are talking about a coin-operated pool table. 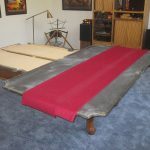 Please contact us for pricing on refelts if you are in the Orange County California area.